Matricaria Recutita or German Chamomile (also spelled camomile) is an annual plant that is sometimes referred to as a "weed" that looks somewhat like a daisy. German Chamomile is used in herbal medicine for sore stomachs and is commonly found in herbal tea and essential oils. 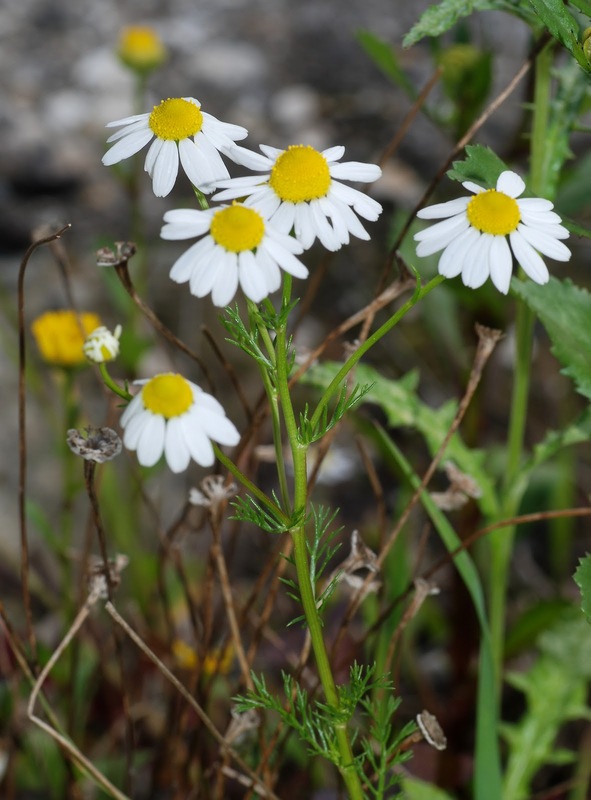 A relative of ragweed, chamomile can sometimes cause allergic reactions. 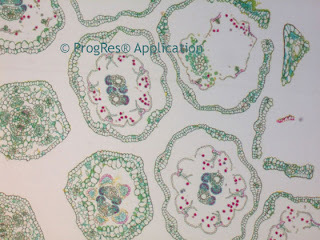 Image of German Chamomile courtesy of Joaquim Alves Gaspar. 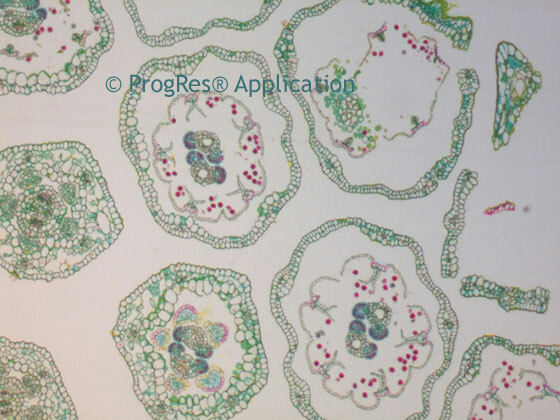 Cross-section of Matricaria Recuitita captured with a Jenoptik CF microscope camera using a biological microscope.